We would like to thank all of the participants for their discussion and communication. 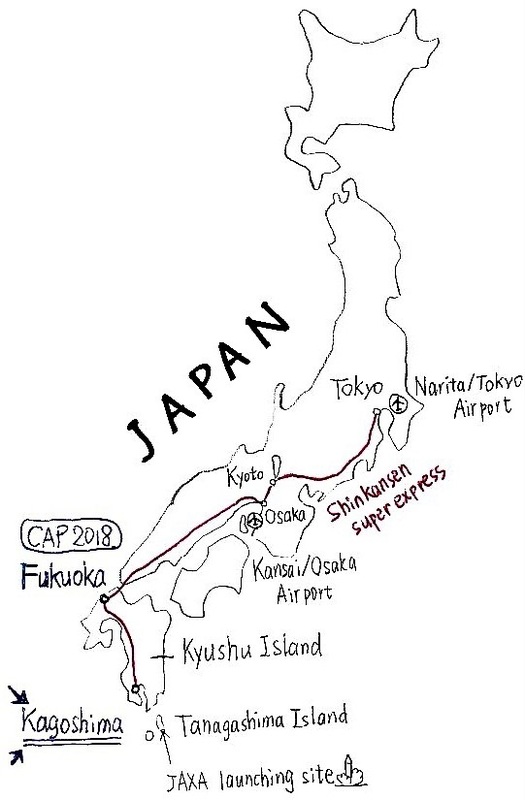 We would like to share various astronomy education activities in a casual meeting just after the CAP2018, at Kagoshima, another lovely city in south part of Kyushu Island with late March beautiful landscape. We hope that in this meeting we will discuss the life long learning to link with the CAP community. We also hope that this meeting can be a great chance for local school teachers to communicate with international educators, Universe Awareness, and many other exciting activities. On 21-22 March 2018 at Kagoshima University organized by Dr. Toshihiro Handa et al. Any people can come without registration, but we would appreciate it if you will return information below to Tomita. It helps the preparation of materials and dinner (important!). Please inform us if you want to join the dinner by Friday 9 March. Dinner: if yes, is there any foods or beverages that you cannot take because of your religion, health or any other reasons? If you have posters or samples, please bring them! Posters can be stuck on the window frame, or spread on the desk and people encircle it and see, or put up on the corridor wall. If you have any question, please email to the local contact shown below. 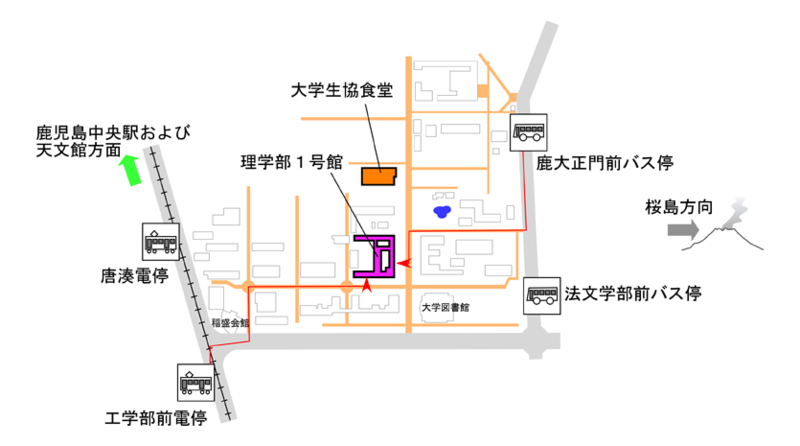 Kagoshima University is in Kagoshima City, Kagoshima Prefecture. 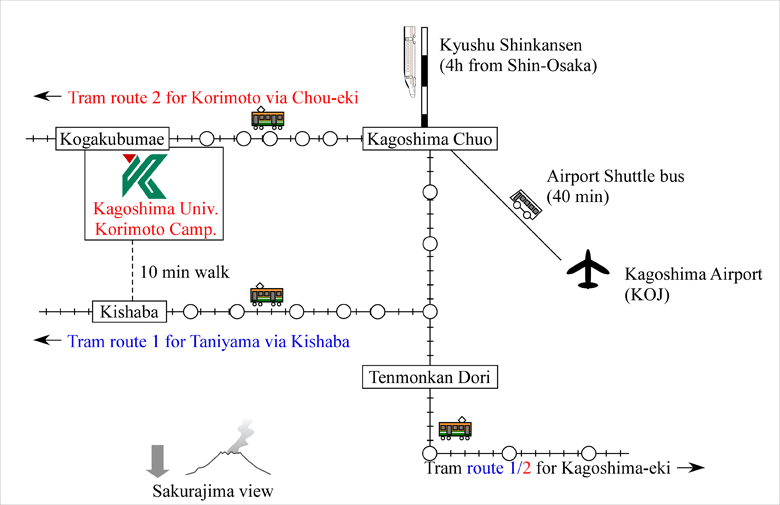 There are many wonderful landscapes including active volcanos around the prefecture, so when you see the list of the hotels on the travel guide web sites, please book a hotel in "Kagoshima City" if you want to stay close to the university. Of course, if you want to enjoy wild atmosphere, Kagoshima Prefecture offers a lot for you! Fresh raw fish "sashimi," including lobster and shell fish, and grilled fish if you like! 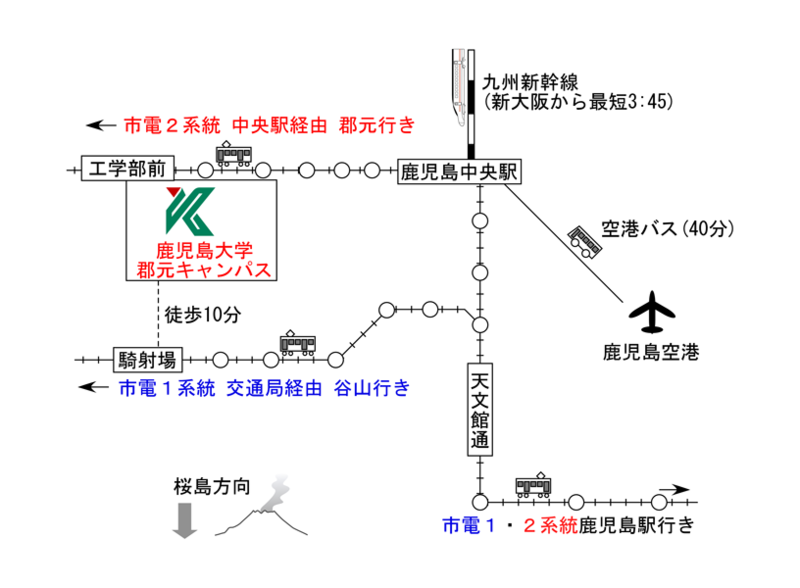 Want to enjoy the JAXA Tanegashima Space Center on Sunday, March 31? Meet at 12:50 at the entrance hall of the Space Museum; do not be late! Please prepare your lunch in advance; canteen is not open and no restaurant around there! 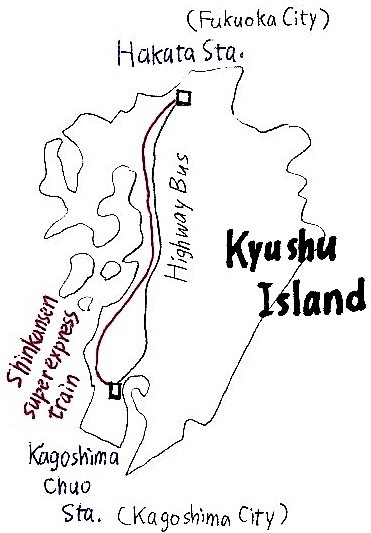 Enjoy Kagoshima and Kyushu landscape!